While there is not yet any sort of unanimity of medical opinion regarding the syndrome, the PANDAS Network has conservatively estimated that PANDAS may affect around 1 in every 200 children although medicine.net puts the figure closer to 1 in every 2,000 although they go on to say that a proper diagnosis is often overlooked. The difficulty doctors have in making a proper diagnosis of PANDA syndrome is because many common symptoms are associated with the illness. 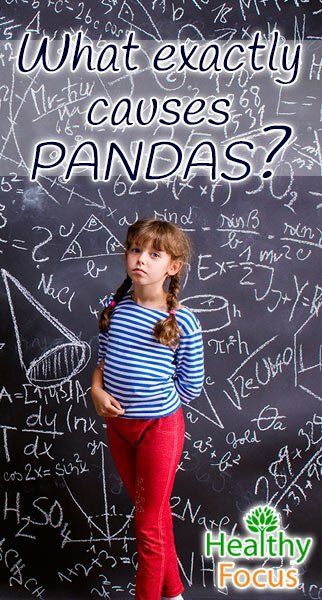 Indeed a number of researchers and experts in the field recommend that PANDAS is included with similar neuropsychiatric conditions such as PANS and CANS. PANDAS syndrome is at least partially the result of a negative autoimmune reaction to strep infections. Scientists and doctors have long known that streptococcus is linked to a variety of immune disorders which include scarlet fever, rheumatic fever and a kidney complaint called glomerulonephritis. The streptococcus molecules hide themselves away from the patient’s immune system by imitating the host cells. In the end, the host’s immune system actually recognizes these foreign invaders and produces antibodies to attack the bacteria but unfortunately, these antibodies also attack the host’s healthy cells. This can lead to the antibodies attacking the brain cells causing many of the symptoms associated with PANDAS syndrome. How do doctors diagnose PANDAS? PANDAS syndrome is clinically diagnosed meaning that a diagnosis depends on physical examinations and patient history. There is a set criteria which doctors use to make a PANDAS diagnosis. The presence of OCD, ADHD or tics. The onset of symptoms is abrupt or the intensity of symptoms varies. Neurological abnormalities such as abnormal body movement or involuntary jerks. Other neuropsychiatric symptoms include anxiety, bedwetting, tantrums and deterioration in math ability and handwriting. That the symptoms began between the age of 3 and puberty. An association with the bacteria which causes strep throat known as A beta hemolytic streptococcal infection. The onset of PANDAS is not always the same; some children become virtually catatonic and housebound while other are able to function to a reasonable level even at school only to regress at home. It is also possible that the symptoms can flare in a less serious and more limited way for weeks or even years before an acute onset. Left untreated, the symptoms tend to intensify during the weeks and months following the acute onset which can lead to permanent cognitive harm. PANDAS is usually treated with medication and behavioral therapy and many children will experience improvements ranging from moderate to dramatic within a week or so of beginning treatment. At the moment, therapy is focused upon controlling the symptoms of OCD so selective serotonin reuptake inhibitors like Prozac are often prescribed. Antibiotics are usually prescribed to treat the strep infection itself. Other medications are used in severe cases to treat the immune system response including intravenous immunoglobulin and plasma exchange treatment. There is still much debate regarding how best to treat the whole syndrome but a number of parents and experts suggest prolonged antibiotic treatment from several months to a full year as well as intravenous treatment. Even though it is possible to make a full recovery from PANDAS and some children do actually make that recovery, many children develop permanent neuropsychiatric symptoms or their symptoms continue to get worse with each strep infection. It is impossible to predict how exactly each individual child will be affected and how severely. Therapy is therefore focused on reducing the tics, behaviors and OCD symptoms which interferes badly with the child’s way of life and their ability to function properly at school. While the following data is not strictly scientific, it is a useful look at the effectiveness of treatment compiled based on parental surveys and each child’s experience. The PANDAS network revisited the families of the original 200 cases in 2012 to find out how the children were doing many years after the initial onset and what they found was encouraging. The vast majority of those surveyed had improved significantly and were left with few symptoms following a year or so of treatment. With regard to relapses after the first year, 25% of the respondents said that there had been mild relapses with only 2% of parents reporting a major relapse. Those reporting minor relapses were generally talking about mild tics and minor levels of OCD or anxiety. Parents also said that these mild symptoms tended to occur when the child’s immune system was stressed due to sicknesses such as the flu, a cold, fever, strep infection, food poisoning and even loose teeth. While the success rate using traditional medication is impressive, it is possible to treat your immune system with a holistic approach. You may well be able to strengthen your child’s immune system thus preventing the strep bacteria from causing havoc in the first place. A combination of homeopathy, nutrition and herbs might make all the difference. Eating a diet which eliminates or at least reduces food which contributes to bodily inflammation and allergy can make a huge difference. 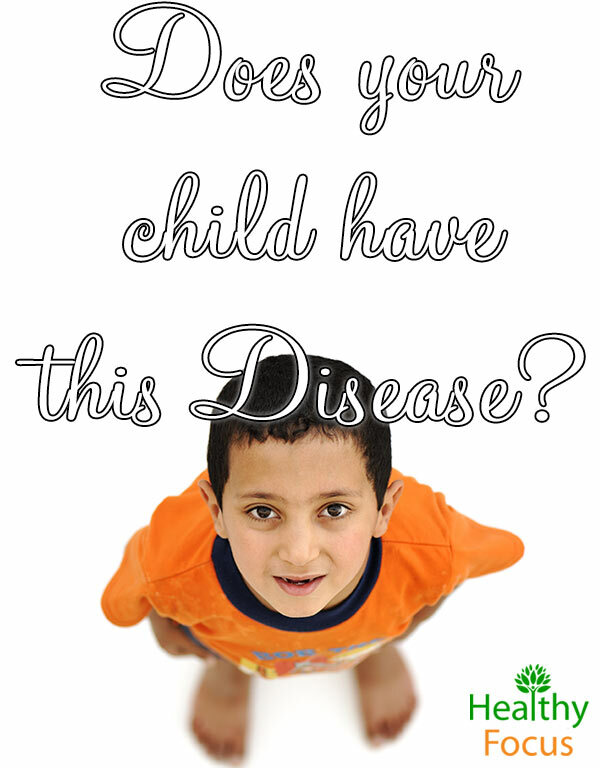 Your child’s immune system will receive a well needed boost and inflammation may be far less of a concern. Try to avoid those foods that contribute to inflammatory and immune reaction such as the normal culprits……..GMOs, gluten, processed food, chemicals, fried food and dairy. Eating a healthy diet rich in nutrients is a far better option for your child. You can ensure that your gut is in the best possible shape by eating good food or even supplementing with probiotics. When the gut flora is out of sync, inflammation and immune weaknesses are far more likely; you can help your child with some dietary changes and certain herbs. Probiotic supplementation is particularly important to rebuild the proper balance of flora that got damaged with the streptococcus infection—and also later if antibiotics were involved. When choosing probiotics be careful—avoid foods or probiotics containing streptococcus strains. While not all streptococcus (strep) strains are “bad” –in a child with PANDAS they should be avoided. Numerous stories abound about people seeing an uptick in symptoms when a child eats Greek yogurt, Low fat cheeses or takes a certain probiotic. In most cases the culprit is Streptococcus thermophilus—also listed as S. Thermophilus. Streptococcus thermophilus is normally harmless and actually beneficial but in the unbalanced strep overgrown flora likely existing—it may exacerbate symptoms. Xylitol can help inhibit Streptococcus growth (2). Since a Streptococcus overgrowth appears to be a trigger of PANDAS symptoms—supplementing or using Xylitol instead of sugar may help with some symptoms. It should not be hard to get your child to eat xylitol—unlike artificial sweeteners—it has a real sweetness and no aftertaste. A number of essential oils are well known for their ability to boost immunity and reduce inflammatory conditions. Many essential oils are also antibacterial and can be used to treat strep infections. Essential oils recommended to boost immunity and detox the system include lemon, peppermint and lavender essential oils. They can be massaged safely on your child as long as you dilute them thoroughly with a base oil like coconut or jojoba oil first. Make sure that you look at the dilution instructions and consult a doctor before applying any essential oils to your child.